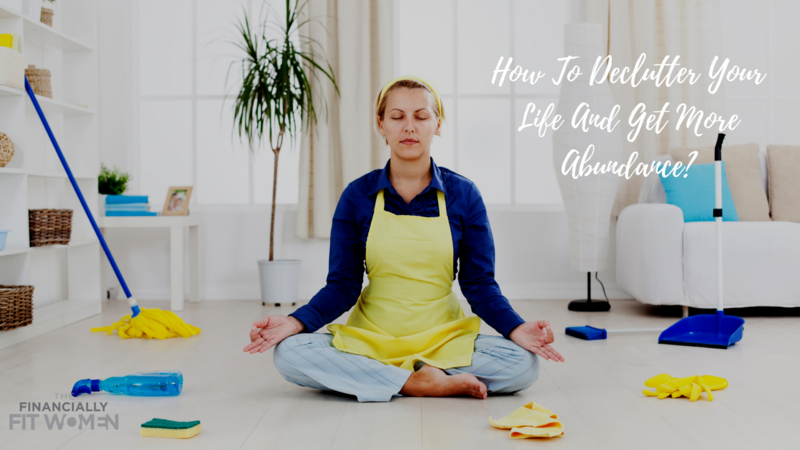 How To Declutter Your Life And Get More Abundance? One thing that can make us feel overwhelmed, stressed and broke is clutter. A lot of people don't think about this, but there is a huge correlation between how your life runs and clutter. When you are surrounded by clutter, your productivity will decrease. You can miss bill payments and offers. You could lose valuable things. It is time for Spring Cleaning and it is perfect to do some decluttering in your life. I am going to be sharing with you, what is the best way to declutter in order to attract more abundance in your life. When you are surrounded by clutter in your home, your car, and your work area, you will spend more money. You also going to lose track of things and your financial debt will increase. This will put you in a vicious cycle of confusion, chaos, and stress. Test your surroundings, look around every single area of your house, your car and workspace and ask yourself, what do you see?